On Monday 30 April around 2.30 a.m., a Togolese man was to be picked up by the police from the camp. There was a spontaneous protest. 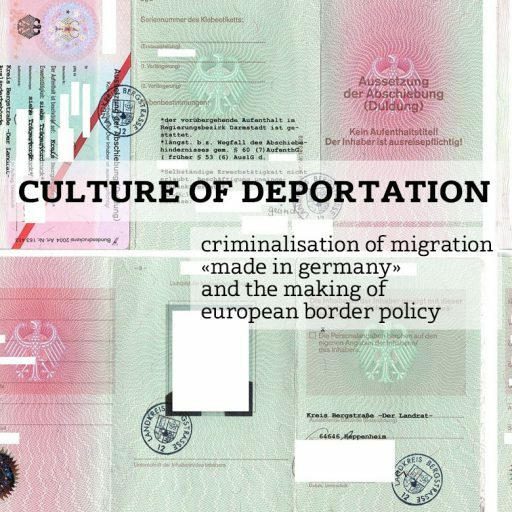 We have already experienced some deportations where the police was loud and aggressive. Our protest was determined, but peaceful at all times. Allegations of taking violent action against the police are false and have not been confirmed. It is also not true that the person to be deported would have already been in the police car. The Togolese was standing apart, near us, handcuffed. During the protest, the police left the camp and gave the keys for the handcuffs to a security guard working there. The Togolese was still about an hour and a half in handcuffs until the security took them off.